It’s Australia Day in the nation’s capital. It’s 37 degrees at 6.30pm with a bit of storm brewing to the west that would later deliver one hell of a lightning show, and I’m standing on a metal platform inside a metal and canvas frame on top of a metal grandstand roof. Rugby in January sounds like a crazy idea, but it’s one we’re going to have to get used to; the removal of the June Test window next season will the Super Rugby final played before the end of June, meaning we could very well be looking at Round 1 start on Friday, 31 January 2020. There’re no titles won in January, but campaigns may well start there in the very near future. Regardless, the Brumbies took to Viking Park in Canberra on the weekend, and faced off with the Melbourne Rebels in a Super Rugby trial match over three 30-minute periods, and with both sides running squads of 31 or 32. For whatever value you place in the scoreline of trial matches, the Brumbies prevailed 52-38, eight tries to six. So what did it achieve, and what should we read into? Well, the aforementioned cobwebs have been blown out, and both sides now have a better idea of which areas within their game they need to add focus onto over the three remaining weeks until they face off again in Round 1, on Friday, February 15. The Brumbies have certainly carried on with that minimal-kicking, counter-attacking game that they didn’t really start nailing until the back half of last season. They certainly didn’t kick a lot (and when they did, it often wasn’t great; an issue in itself), and they were more that happy to play from their own 22. But their set piece remains strong, and they showed great inclination to run the outside men off the inside shoulder in midfield and from set piece. Tevita Kuridrani was a standout in this regard through much of the first hour, looking trimmer and faster than he has in years; no doubt a by-product of his first full off-season in probably five or more seasons. Young gun Len Ikitau carried on in this fashion, too, when he replaced Kuridrani. There was some nice interchange between forwards and backs throughout, as well, and Tom Cusack and Lachie McCaffrey led the way in defence and at the breakdown. The Rebels didn’t have a lot of ball in the first period, but worked their way into the contest as it went on, and look to be playing with focus on promoting the ball in contact and trying to create second-phase opportunities. Of the two sides, the Brumbies will probably get more useable data out of the game, for the simple fact that their trial squad are all part of their 2019 program. 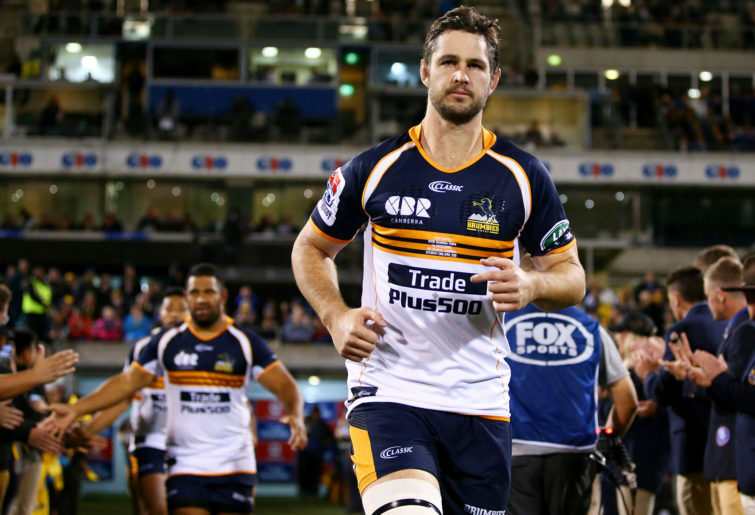 With their Wallabies sitting the contest out, along with senior players Christian Lealiifano and Henry Speight, the Brumbies were ‘only’ without nine regulars and backrower Ben Hyne, who unfortunately will miss the 2019 season with another ACL knee injury. The Rebels, on the other hand, were without twenty-one players; eight of them end-of-season Wallabies, a couple of them in Jordan Uelese and Ross Haylett-Petty on the injured list, and the rest of them just not playing despite to the best of my understanding being in full training. And some of these non-playing Rebels will be important through this season: the likes of Fereti Sa’aga, Ben Daley, Anaru Rangi, Isi Naisarani, and Tom English. Campbell Magnay is only a recent arrival in Melbourne, as I understand, and Quade Cooper was a late scratching on Saturday. Perhaps they’re being saved for the Rebels’ next trial against the Queensland Reds, to be played in Ballarat this Friday. They also have an opposed training hit-out with the Sunwolves coming up, too. What it did mean was the Rebels’ trial squad contained in the order of a dozen or fifteen Melbourne and Sydney club players who got a game as reward for putting in the hard yards over pre-season. And that the Rebels must have had well over 50 players on the training track at times this month. Of these pre-season players, the Sydney University pair of backrower Nick Champion de Crespigny and flyhalf Stu Dunbar were the stand outs. 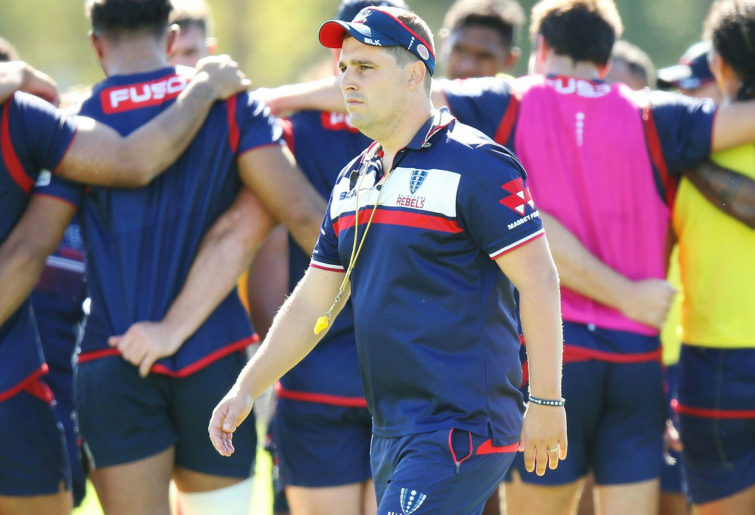 A quick chat with Rebels coach Dave Wessels post-match confirmed that he’s got a battle on his hands to finalise his squad for 2019, and that while his side’s attacking play wasn’t quite of champagne standard, he saw enough out on the field to know that their attack is heading into the right direction for Round 1. And of the Brumbies? There is perhaps no more honest a post-match wrap-up than with Assistant Coach Laurie Fisher, who was only too happy to expand on what their hierarchy took out of the game. “Yeah, a good hit out. I think both sides will be pleased to get the 90 minutes under our belt with no injuries,” he told me, as we sheltered in the Viking Park grandstand as the heavens opened. “We’ve had a big focus on being fearless in attack, and you can see that we want to throw the ball around. Sometimes an error comes, but again, some really nice play out there. That last admission was surprising, but certainly answered the question we were raising during the live stream coverage. They did let in some soft tries, they did sometimes look a pick passive on the pick-and-drive, and Fisher also explained that while their switch from defence to attack was decent, their kicking game wasn’t so much. “I thought our ability to find position quickly, to shift the ball, to get it to our drivers, to play out the back was nice, so there were some good things,” he said. 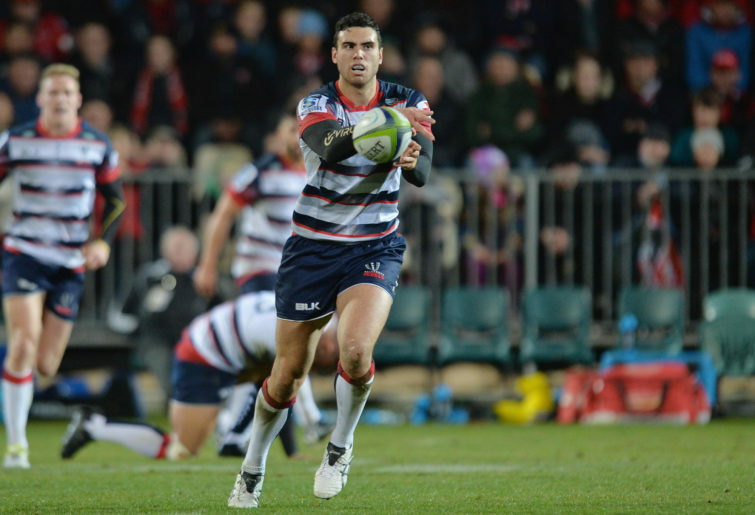 Fisher agreed the breakdown would also be an area of focus ahead of the Waratahs game in Goulburn on Thursday February 7. “We lost four at the breakdown – three lost on hits, one we were stripped; I’ve been speaking for weeks now that it’s going to be a big strip focus this year, I think there’ll be a lot of play on the ball. We need to address that, definitely, but that’s what trials are for. The master forwards coach is entering his twentieth year in professional rugby, and it was genuinely exciting to hear him speak so highly of the next wave of Brumbies coming though; the likes of Mac Hansen, Len Ikitau, Noah Lolesio, Jordan Jackson-Hope. “Gee, their back-end play was great,” he said. But he also saved some praise for a couple of his experienced men, who on Saturday night’s showing, are going to be crucial through the 2019 campaign. “Oh, look, Tevita, he’s trained hard and he’s in good nick. That’s a great start to the year for him.